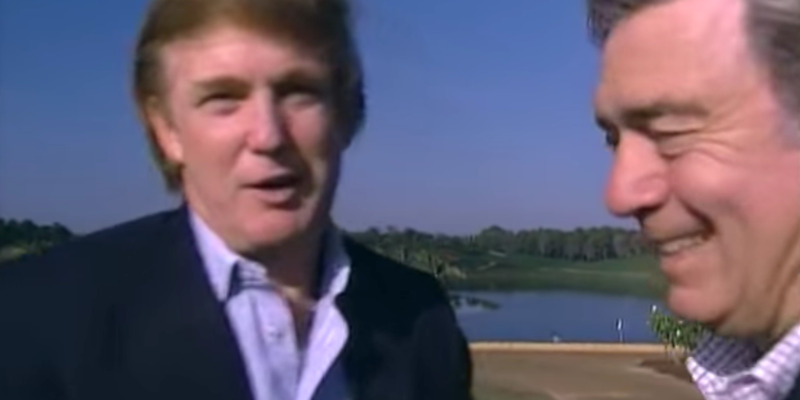 J C/YouTube via CBSReal-estate mogul Donald Trump and anchor Dan Rather. “I am absolutely serious about conceivably running for the office of president,” Trump said to Rather on CBS’s “60 Minutes II” in 1999, which resurfaced on YouTube. “And if run and I won, I think I’d be a really good president. I’d be prepared to spend $US100 million on the race if necessary,” Trump said at the time. “And he flew combat missions [with distinction],” Rather replied. Years later, on the campaign trail ahead of the 2016 election, Trump would echo the same remarks and throw cold water on McCain’s credentials. Rather also posed a question to former model Melania Trump, asking what Trump’s best qualities were. “He’s a loyal man,” Melania said smiling. Trump sought the presidential nomination from the Reform Party, a political party founded in 1995 by billionaire Ross Perot. He would later withdraw from the race and cited the Reform Party’s infighting as the driving factor.